Khadim Hussain, ARTO, Leh: With an increase in population and changing lifestyle, the vehicular population is also increasing every year. In the last 10 years, the number of vehicles has increased from 5,000 to 20,000. Though the automobile provides comfort and easy accessibility, the negative effects cannot be overlooked. Along with the use of non-renewable fuels, emission of air and noise pollution the most fatal issue is the rise of road accident cases. The major causes of accidents among teenagers are stunt biking. They do it for fun and style without helmet and license thus injuring themselves and others also. Secondly, during the marriage season and some functions, people consume alcohol and drive which causes a risk of accidents. To avoid such cases, the organiser can ensure that minimum liquor is served to the one who drives a car or checks an alternative driver for the same vehicle. 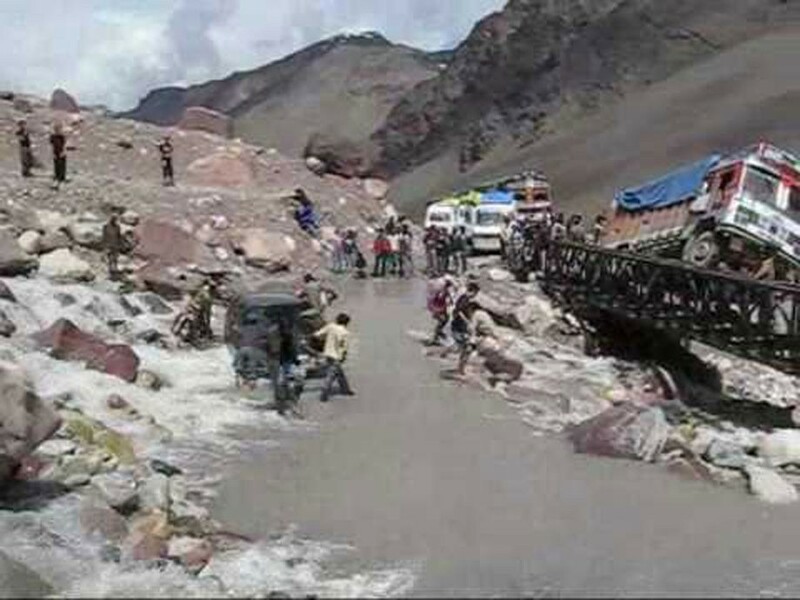 Thirdly, Ladakh has a limited economic season and because of the seasonal industry, the commercial vehicle drivers make maximum utilization of the day to cover as many bookings and drives without taking proper rest. Thus, driver fatigue causes a road accident which is a threat to all road users. This can be avoided by taking proper rest in case of a long trip. There should be a check and control through the union or the authority that the vehicles moved to one place should not be back within a short period of time and maintain a record for the same. Also, there are certain traffic safety rules while driving in the hilly areas which are neglected by many. For example, the vehicles going uphill have the right of way. The one who is coming downhill should offer side and let the others go. To ensure road safety we need to emphasize and involve people at all levels of the road traffic system- from road providers and enforcers to road users. Prevention intervention falls on everybody. For e.g. Educating the children to cross the road only at the Zebra crossing will not help until and unless the people who are driving are not aware of the same. The drivers will not slow down at the crossing thus causing an accident. Similarly, the pedestrian has an equal right to use the road but vehicles are given much importance which is wrong. The priority should be given to the one who walks. Drunken driving is another major cause of accidents because when people drive after consuming alcohol, their response time and ability to focus on the road can be hugely reduced, increasing the risk of an accident. We use a breath analyzer to check whether the driver is drunk but Ladakh being a small region everyone knows each other and there is a social stigma attached to it if someone got caught. A road safety week is organised every year to educate people about the road traffic system, causes and prevention of accidents and to streamline the traffic. We should not blame each other as everyone is responsible once they are on road. Road traffic injuries are predictable and preventable, but good data are important to understand the cause of the accidents which will give away for the needed road safety interventions and technology. All the accidents related cases are being handled by police but there is no such proper data which reflects the causes because in maximum cases drivers are held negligent. While the causes of accidents can vary, such as a technical problem in the vehicles, inadequate road infrastructure, a fault in planning and road designing and also the careless and irresponsible attitude of the pedestrians. Consequences are often the same, resulting in everything from vehicular and property damage to serious injuries. If we find out the cause of accident cases, we can work upon it to reduce and find out an alternative solution to overcome it. Our role is to sensitize public about the traffic rules to minimize the accident and streamline the traffic, to monitor the driving institute, to check the fitness of vehicles which take place annually, especially public transport buses and school buses. A Road safety committee is being formed in each district to supervise the overall road safety in the district under the chairmanship of Deputy Commissioner, SSP, ARTO, CMO, Executive Engineer R&B, BRO, CEO, each of which has different roles and responsibility. A proposal has been given to the government to establish an Institute of Driving and Training Research Centre (IDTRC) in Leh. We already have procured a 100 kanals of land at Phyang. In IDTRC all the professional and unprofessional drivers will be imparted training about everything related to road safety. The training will be made mandatory to all in order to get the license issued. This will somehow help in reducing the accident cases because there will be no untrained drivers on the road. Sargun Shukla, SSP Leh: The cause of the accident cases can vary but each and every one of us needs to understand our duties and responsibility while using the road. The road belongs to pedestrian, motorist, car drivers, truck driver and to everybody. We often see people driving in such a hurry causing a threat to many. Education and enforcement are very important to aware people about the traffic rules, regulation and causes of accidents. To ensure road safety there is a need to replace the manpower with technology-intensive for checking and implementation of traffic regulation. Srinagar and Jammu traffic is moving towards technology in terms of E-challan, so once it is implemented there, it will be extended to the rural also because the endeavour is to cover the whole country into that. Under E-challan, the number of challans issued for the traffic violation by a driver will be readable all over the country. It is a long-term plan which will take time for implementation. But this year ARTO Leh has computerized their system in which the past enforcement data will be fed into it. Once it is synchronized with Srinagar then even using the road recklessly in other parts of the state it can be checked from here and the license will be suspended. As of now, the license will be suspended in case of using the phone while driving. Drunken driving cases are observed less in Leh. We are using breath analyzer from this season and are very effective. We have not yet caught anyone beyond permissible limit because once people know about the deterrent they will not drive or if they drink they will not drink beyond a limit. We are also trying to install CCTV cameras which have night vision devices and the Automatic Number Plate Reader (ANPR) at various places. This will help to detect the reckless driving on the road. Necessary take course of action will be taken against the one who violates the traffic rules. The main challenges are ignorance and arrogance. Ignorance can be address with education and arrogance with enforcement. Since Ladakh is vast in terms of area, police can’t be deployed or present everywhere so the accountability has to be there among the vehicle driver. There are hit and run cases which becomes very difficult to trace as there are no witnesses. This year, we have installed CCTV in the selected commercial and main places. More focus is given on to educate the children to spread awareness because they are the drivers of tomorrow and parents play an important role for which we call and address them in case of minor driving on the road. Pedestrian is the most ignored road users. We have to ensure them their footpath rights by avoiding encroachment and easy accessibility for the safety. There are certain roads at the height which needs crash barrier. The matter has been taken up with the DC to make the road safer. Public support is very imperative to curb traffic issues. • CCTV with night vision device and Automatic Number Plate Reader should be installed at various places.